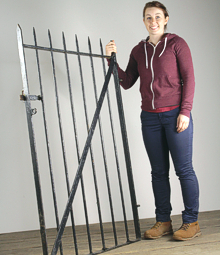 At any one time, we can have over 100 pedestrian or garden gates in stock. 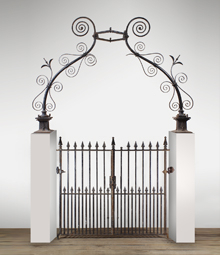 We have gates for all purposes, from small wicket gates for the front of a rural cottage or urban terrace house, to imposing wrought iron double gates that could open into a formal garden of a grand house. 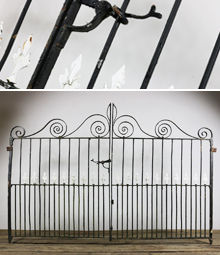 We have gates dating back to the 18th Century, and plenty of gates from the 19th and early 20th Century. 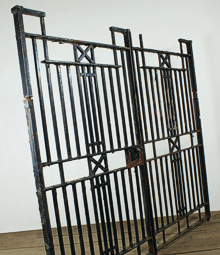 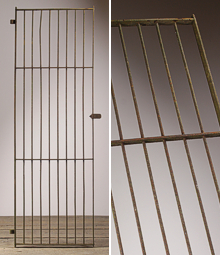 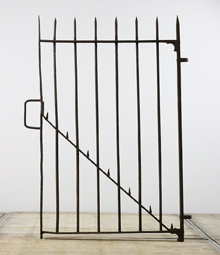 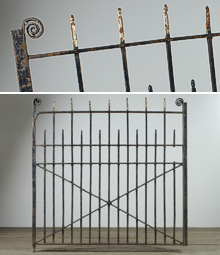 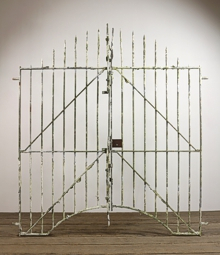 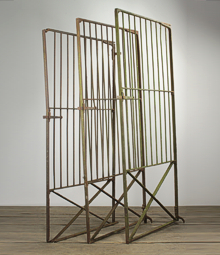 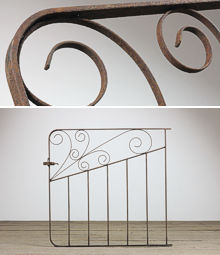 The simplest gates are hand forged from wrought iron, with horizontal bars and usually one or more diagonal supports. 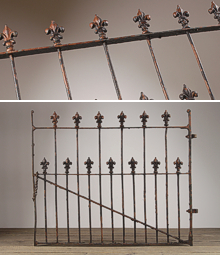 Other typical patterns have vertical struts finished with spears, spikes, fleur de lys or other patterns. 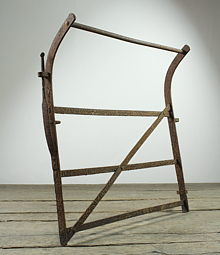 The so called 'hoop top' is another common pattern. 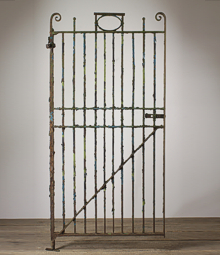 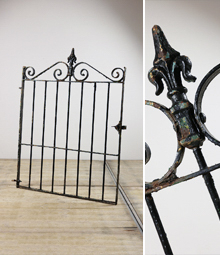 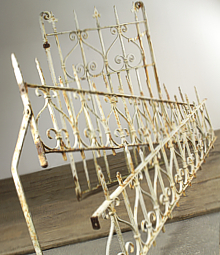 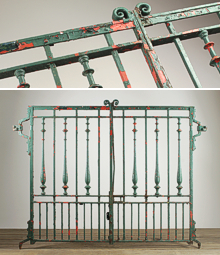 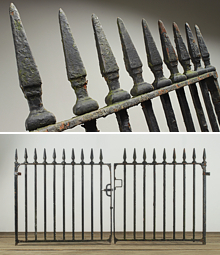 The discovery of casting processes for iron in the 19th Century, made decorating gates easier. 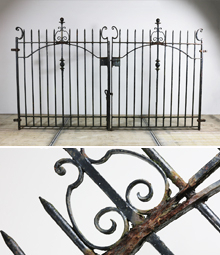 Decorative elements could be cast and added to the framework of the gate, whereas previously all decoration had to be individually hammered out in a forge. 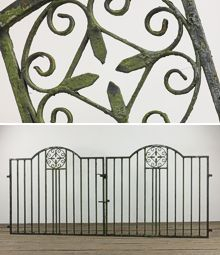 The 20th Century saw the advent of welded steel construction, although better quality gates continued to be hand forged and we have had lovely examples of Arts and Crafts gates. 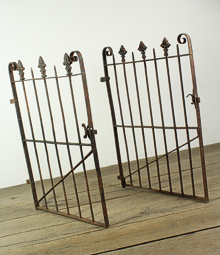 We usually have a selection of gates salvaged from churches, these are usually highly elaborate as no expense was spared. 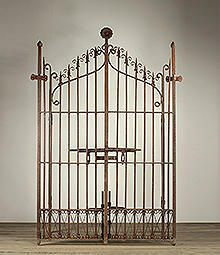 We also have tall gates, short gates, heavy gates, lightweight gates, wooden gates and gates with arched tops. 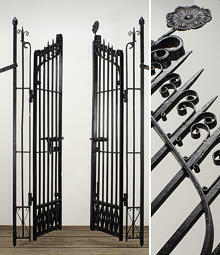 We also get some gates that come with matching railing. 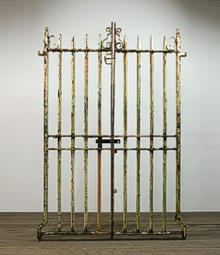 The question we would pose is why would anyone contemplate buying a modern gate, made from inferior tubular steel, with a limited lifespan and limited aesthetic appeal?